Florida Gov. Rick Scott called the legislation "important first step as we continue to address the high costs hospitals pass on to patients and their families." Florida last week enacted one of the strongest state laws protecting consumers against surprise out-of-network medical bills. What got less attention is that on the same day, Republican Gov. Rick Scott also signed into law what could turn out to be one of the nation's most robust healthcare price and quality transparency systems. The law's sponsors apparently came up with a creative way around a recent U.S. Supreme Court decision barring states from requiring self-insured employers to share their cost data with state all-payer claims databases. That ruling poses a major hurdle to state transparency and cost-containment efforts. 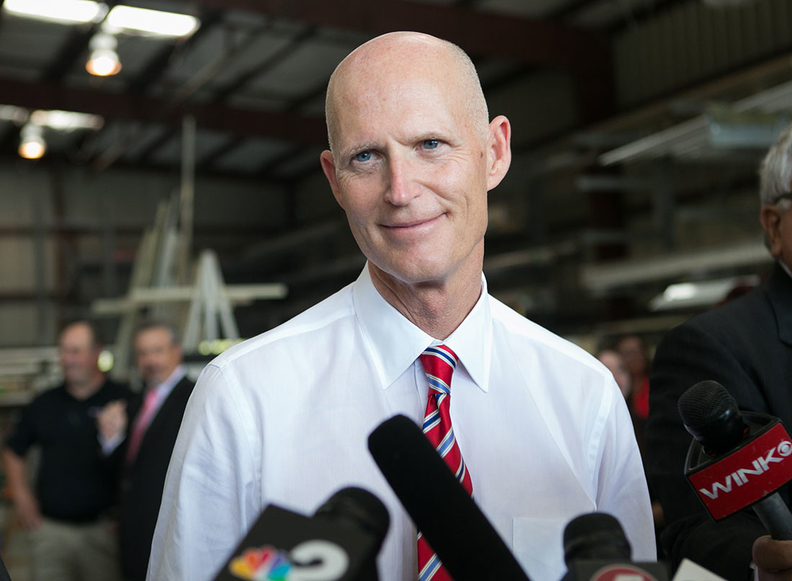 Ironically, Florida's new transparency law benefiting consumers was born out of Scott's pique at hospitals over their support for expanding Medicaid to an estimated 800,000 low-income Floridians. Several years ago, the Florida Medical Association blocked price transparency legislation. This time the Florida Hospital Association got behind the legislation after the governor's proposed criminal penalties against hospitals for alleged price-gouging were dropped. Along with 44 other states, Florida previously received a failing grade from the not-for-profit Catalyst for Payment Reform on healthcare cost transparency. Depending on how it's implemented, this legislation could move Florida into the vanguard—along with Colorado, Maine and New Hampshire—in bringing healthcare prices and quality measures out into the bright sunshine. Price and quality transparency tools introduced by states and private insurers have faced lots of growing pains. Only a few of these tools provide comprehensive information on quality, price, patient experience, network providers and benefit design, according to Catalyst for Payment Reform (PDF). Third-party vendors typically lack access to real-time data, and insurers generally don't want to share their proprietary data. As a result, most states currently do not publish the actual amounts providers receive from payers for individual services. Under the new Florida law, the state Agency for Health Care Administration must contract with a private vendor to provide a consumer-friendly, Internet-based platform allowing consumers to research the cost of healthcare services. Services will be grouped by bundles to facilitate price comparisons of services provided in hospitals and ambulatory surgery centers. The price data—based on what providers actually receive from payers, not on their chargemaster sticker prices—will be accompanied by quality measures. Hospitals and surgery centers are required to provide access to searchable service bundles on their website, listing estimated payment ranges for each service bundle, by facility, within selected geographic boundaries, and nationally. Beyond that, hospitals and surgery centers must notify prospective patients that other providers may deliver services in their facilities and bill separately and that these other providers may not participate in the same health plans. Hospitals also must disclose in advance their hospital facility fees. In addition, health plans must provide on their websites a method for plan members to estimate their cost-sharing responsibilities, including for both in-network and out-of-network providers. Consumers may request good-faith estimates of charges for non-emergency services from hospitals, surgery centers, and individual healthcare professionals. These estimates must be presented within seven days, or the providers face a daily fine for noncompliance. Similarly, patients may request a clear, specific itemized bill from the hospital or surgery center, and it must be presented within seven days. “The hospital has to say, 'This is what we're going to bill you' and should provide all the pertinent information so the consumer can ask the insurer, 'What will my responsibility be?' ” said Laura Brennaman, policy director for the Florida Community Health Action Information Network, a consumer advocacy group. The Florida law seems to sidestep the recent Supreme Court ruling in Gobeille v. Liberty Mutual Insurance Co. that shields self-insured employers from having to turn over the claims data needed to establish a robust cost-transparency database. It does so by establishing a new contract requirement for any insurer or third-party administrator that wants to service the Florida Medicaid program or the state employee health benefits program. To participate in those programs, insurers have to submit claims data for all their Florida customers. “It gives insurers a choice to be a provider of services to the state or to opt out of those lines of business,” said David Newman, executive director of the Health Care Cost Institute, a strong contender to receive the contract to run the new Florida claims database. Newman said no other state's price transparency website currently reports costs for as many healthcare services as Florida aims to publish, and no other state has established as consistent a way to calculate costs and ensure they are reliable for consumers. The Florida Hospital Association said it was “proud” to have worked with the bill's sponsors and that it stands ready to collaborate with the Agency for Health Care Administration to implement the law.